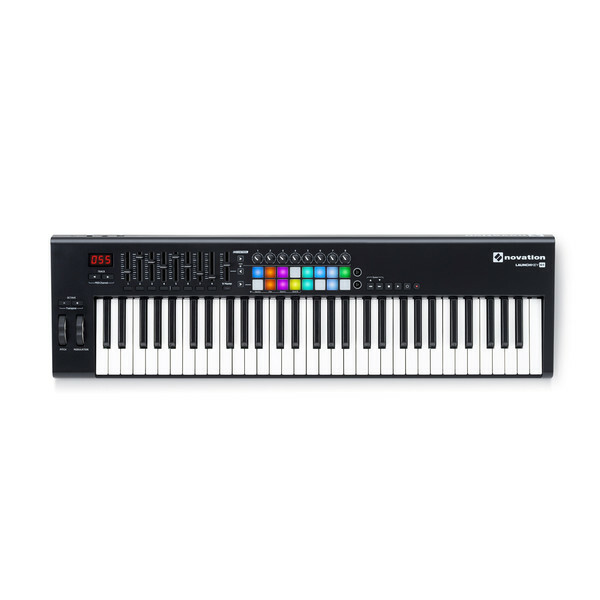 The Novation LaunchKey 61 MK2 MIDI Controller Keyboard is the all-new MK2 version of Novation's popular USB keyboard controller for Ableton Live. 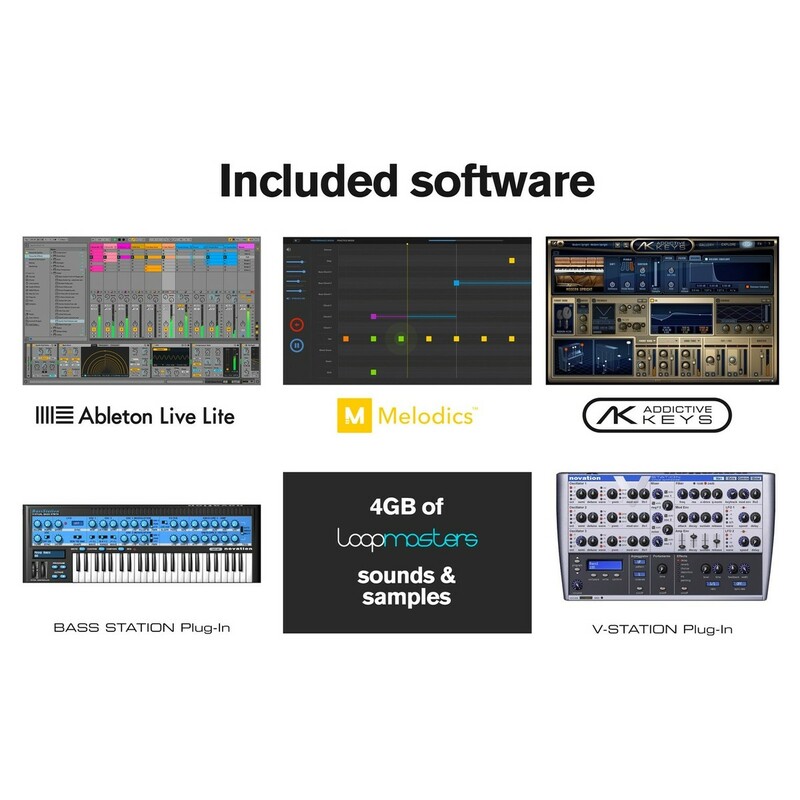 Featuring 61 synth-action keys, 16 velocity-sensitive RGB pads, 9 faders, 8 knobs, and a wealth of bundled software including Ableton Live Lite and Novation V Station, this comprehensive DAW control surface is the ultimate instrument for performing musicians and studio producers. 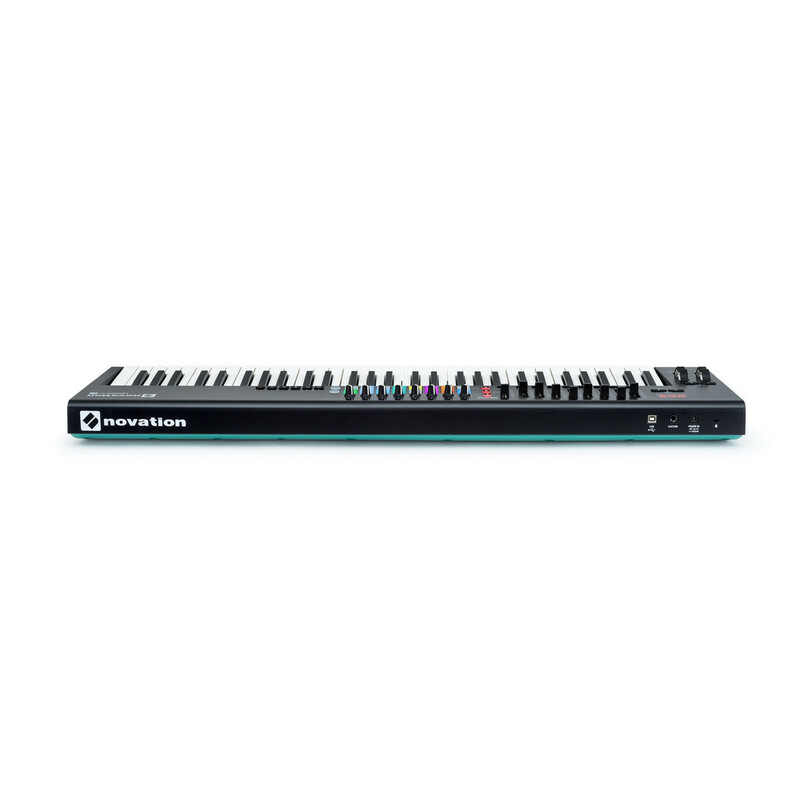 Novation LaunchKey 61 MK2 is the quickest and easiest way to produce and perform electronic music using Ableton Live. You just plug in via USB and the keys, faders, knobs and velocity-sensitive RGB pads give you immediate hands-on control of your session view, instruments, effects and mixer. Launch clips, control FX, play beats and much more using 16 pads laid out in two rows of eight, to match your Ableton Live session view; one row to launch clips, and one row to stop them. Full colour RGB LEDs mean they'll match the colour of your clips too, while velocity-sensitivity lets you really put some feeling into your beats. LaunchKey is designed to let you shape your sound however you like. Use eight rock solid rotary knobs to tweak your instruments and effects, and nine dedicated faders for hands-on control of your mixer. The 61-note synth-style keyboard is lightweight, fast and very easy to play, but also velocity-sensitive so you can create truly expressive performances. All the controls integrate seamlessly and immediately with Ableton Live, and can be reassigned to anything. Of course, if you do not use Ableton, it will map to other major music software using InControl. LaunchKey 61 is tough enough to take and use anywhere. Fully class compliant and bus-powered via USB, LaunchKey is ready to use the moment you plug it into your laptop, with no need for any drivers or power cables. 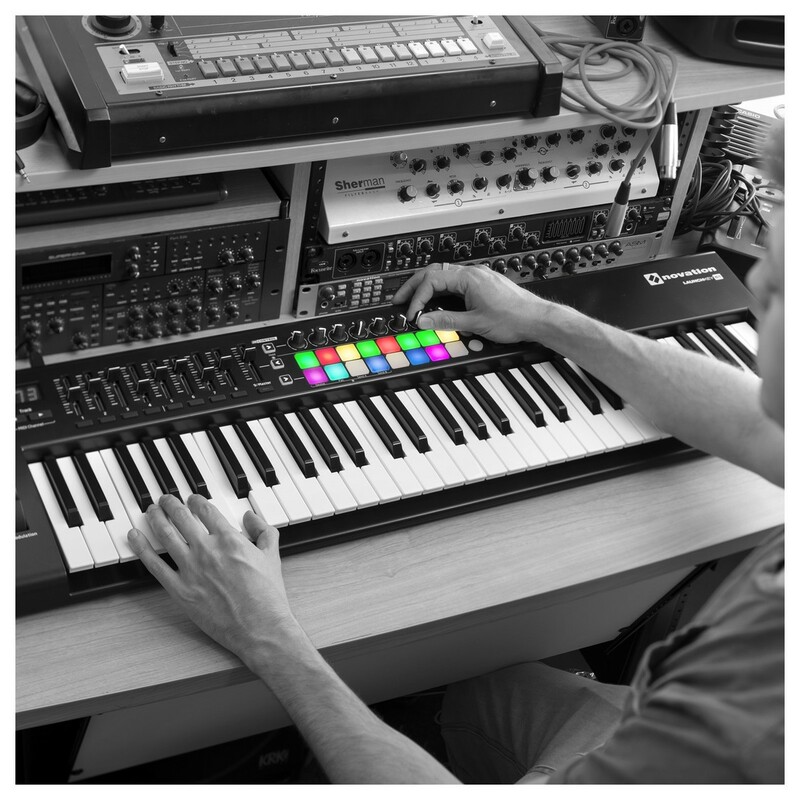 The Novation Launchkey 61 MK2 comes complete with 60 free Melodics lessons. Melodics is a desktop app designed to teach you how play MIDI keyboards, pad controllers and drums. Each lesson in Melodics is broken down into simple steps, adding another layer and working your way up to complete a full track. The lessons span different genres from classical and new jack swing to grime and dancehall. Melodic sis perfect for building your skillset using the LaunchKey 61 MK2. 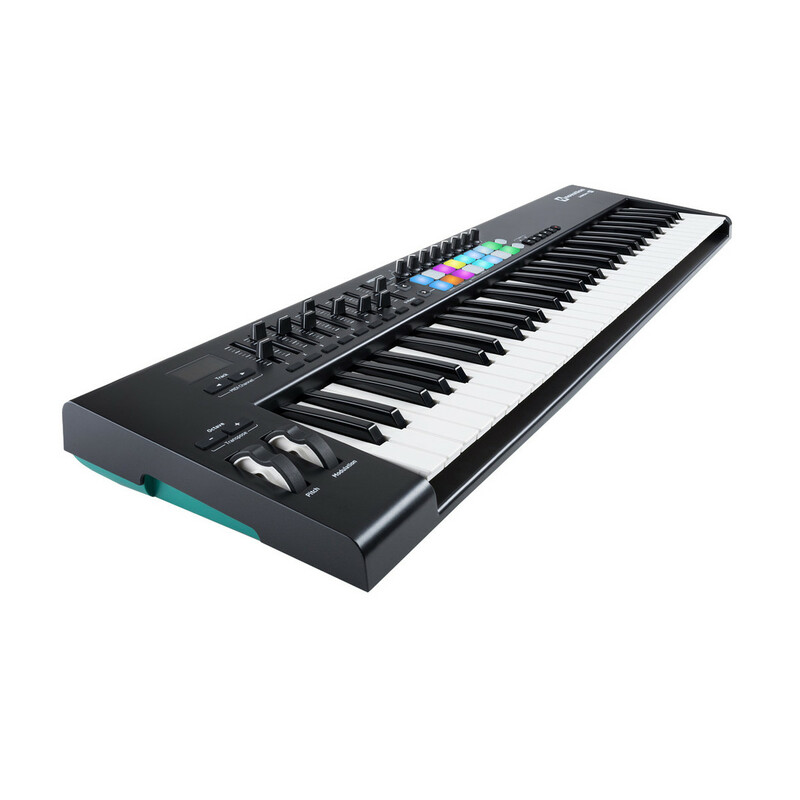 Create Expressive Performances: The 61-note velocity-sensitive synth-style keyboard is lightweight, fast and very easy to play.